Levana Biologics has partnered with a world-renowned University to offer the healthcare community high-quality biomaterials that are manufactured and delivered with integrity. For over a century, human birth tissue and its’ derivatives have been used for tissue remodeling and regeneration. Recent and rapid developments in bioengineering techniques have reintroduced this “native” biomaterial to modern-day medicine, providing a safe and natural approach to treat patients suffering from a variety of medical conditions. The unlimited potential and the diverse applications of these tissues is redefining healthcare outcomes worldwide, delivering promising results and more practical solutions for both patients and providers. Levana Biologics provides healthcare professionals “smart” metabolically active biomaterials that supercharge the body’s own stem cells to enhance, promote, and stimulate the natural healing process. Uses Disclaimer: Levana Biologics manufacturer has supplied 1,000+ units of LevaSOLTM and 4,000+ units of LevaGRAFTM for various applications. This list is not inclusive of all potential applications. Not all uses and applications listed have successfully completed IRB approvals. 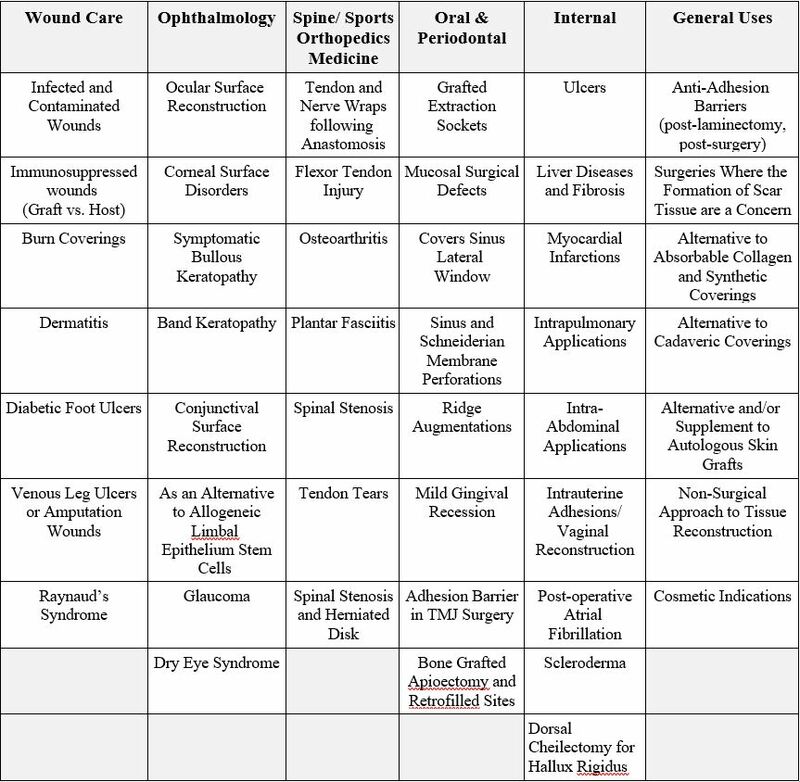 Some of these applications are currently undergoing clinical trials. It is up to the clinician to determine its’ usefulness or effectiveness. “Regenerative medicine, a commonly used phrase in the field of chronic wound management, is the “process of replacing or regenerating human cells, tissues, or organs to restore or establish normal function” (1). The term also refers to a group of biomedical approaches to clinical therapies that involve the use of stem cells. 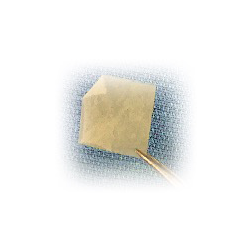 Tissue-engineered skin and platelet-derived growth factors represent substantial advancements in wound healing, because they stimulate the delivery of certain factors considered important to regenerative medicine, including growth factors, fibroblasts, collagen, and a physical scaffold on which wound repair and regeneration can occur. The amniotic membrane (AM) or amnion is a tissue of particular interest because it can provide cells with multipotency. 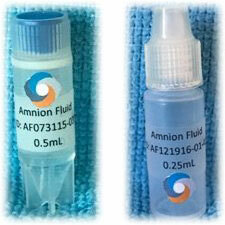 Amnion is easily obtained after cesarean delivery, because the placenta and associated fluid and membrane are typically discarded after childbirth. The cells have been shown to have extremely low immunogenicity, and their procurement avoids the controversies associated with obtaining human embryonic stem cells. Thus, the use of AM and amniotic fluid (AF) has been proposed as a potentially useful allograft cell therapy in regenerative medicine.” (2).